As you know, we use the word like as a verb to talk about our preferences. We also use Like in a variety of other ways in casual, English conversation. 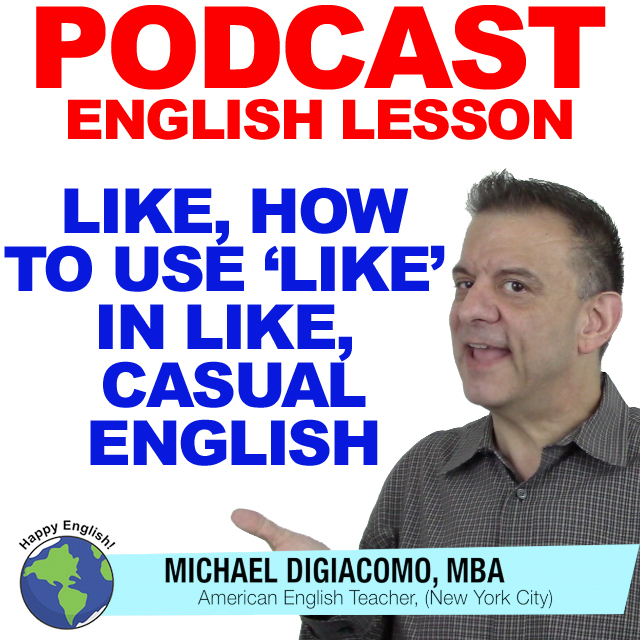 For today’s English lesson, I’d like to show you a few different ways that we use like in informal English. I think the boss is like, 65 years old. It’s like, fifty minutes from NYC to Boston by plane. What a fat dog! It must weight like, 30 pounds! I was like, so tired last night that I fell asleep with my clothes on. Don’t you think the boss is like, too strict with us when we come in late? Is Tom ok? He seems like, a little quite today. Don’t you like, love the pizza here! It’s so good. I’m tired. I think I am gonna like, go home and take a nap before dinner. The new salesman in the company like, talks too much.